There are many ways schools use digital signage; from live streaming activities to marketwalls in financial labs, digital signage lets schools visually communicate their message to students, faculty, and parents. Digital signage is one of the best investments your school will ever make. 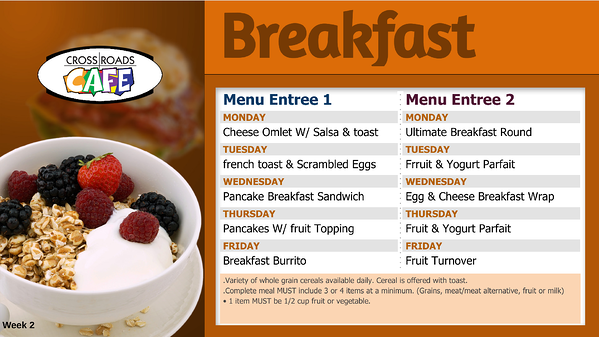 One of the most popular ways schools are using digital signage, however, is in cafeterias. 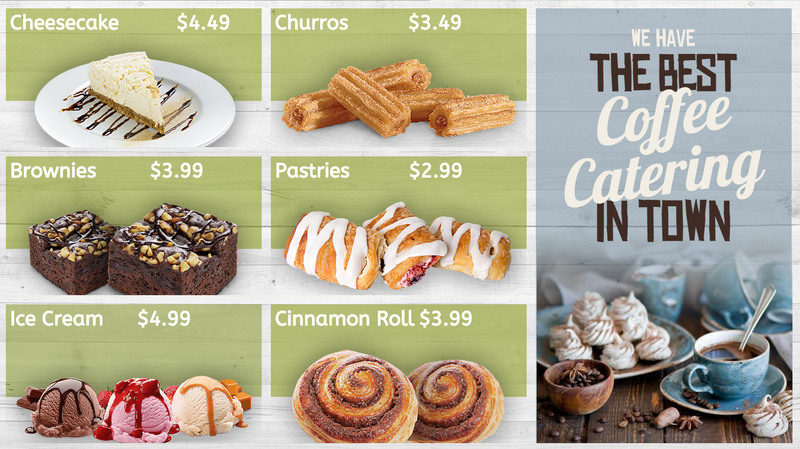 Creating a digital menu board lets you quickly and easily make changes to your menu. 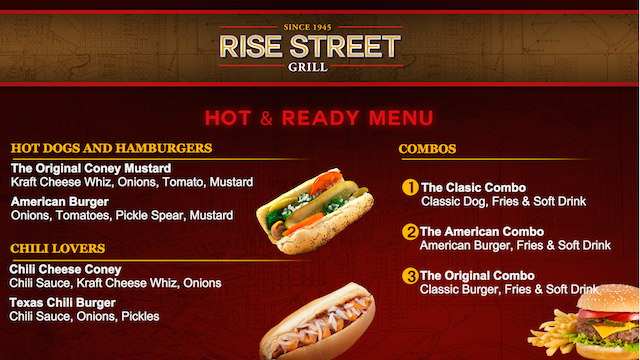 Putting your digital signage on a schedule can even let you show different menus for different times of day automatically. 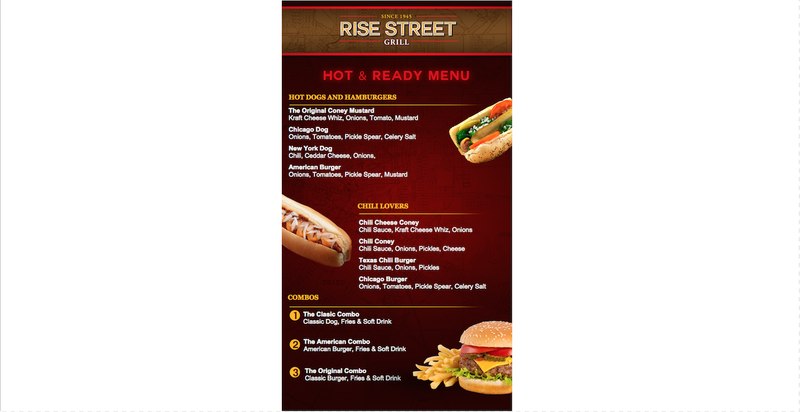 Rise Vision has a half dozen menu board templates you can customize with your school's branding and menu choices. Some of these menu boards even have Google Sheets built into them, so you can update food choices and pricing without even logging into the software. If you’ve never used a template, take a look at the video below or read this brief tutorial. The first four templates are integrated with Google Sheets; this means once you have set up the digital signage presentation, you don’t have to log into the software to make changes to the price / food. You can use Google Sheets to update it. 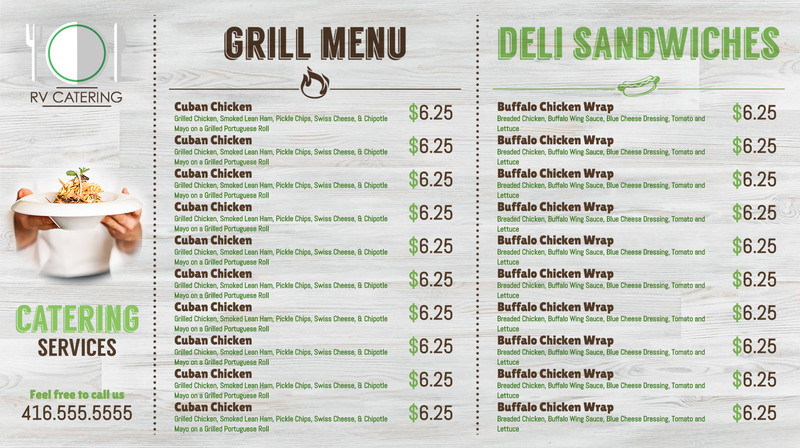 While the quickest and most popular way to create a menu board is with our templates, some schools have used our easy-to-use online digital signage software to build their own menu board. 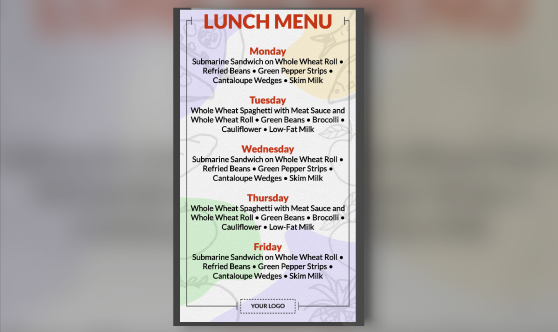 The Marysville School District has used Rise Vision to create a non-template menu board that does a great job displaying their weekly menu selections. If you’ve never used digital signage on your campus, take a look at our best practices post. If you want even more ideas just for schools, take a look at this post.